On November 16, 2018, the ARCI Center, Silistra hosted the "Innovation Camp in the Cross-border Region Silistra". 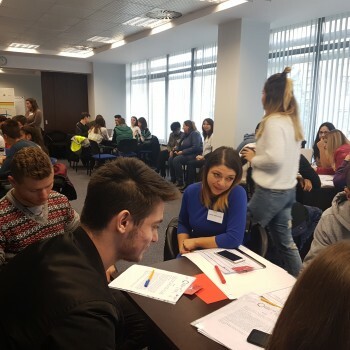 The event is organized under the project “Entrepreneurship for Youth Labor Mobility”, financed by INTERREG 2014-2020 Romania – Bulgaria Program. The event is organized by Parallel-Silistra NPC jointly with Bulgarian and Romanian partners for the second consecutive year, this time at the regional level with the support of the Regional Education Administration – Silistra. 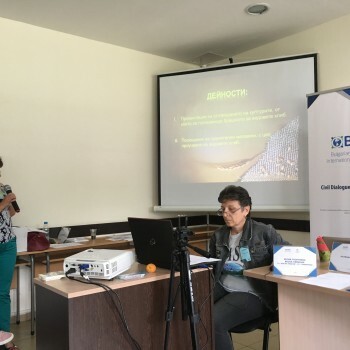 The Innovation Camp marks the end of a series of activities devoted to the joint Bulgarian-Romanian educational scheme “Entrepreneurship without Borders”. This model promotes not only entrepreneurial education, but also foreign language learning in Bulgarian and Romanian languages ​​as well as practical exchange activities and cooperation with the business community in the cross-border region. The event is part of the information campaign under the project “Entrepreneurship for Youth Labor Mobility” wich aim is to mprove the employability of young people in the labor market and to make them more mobile when looking for work in the cross-border region. On 8 and 9 June 2018 ARCI participated in the sixth edition of the National Conference for Global Education, which took place in Sofia. 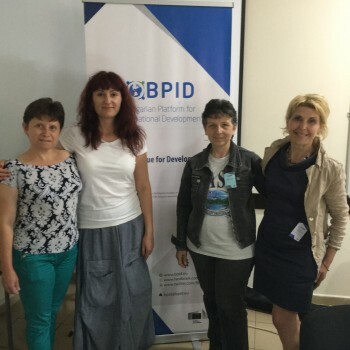 For more information, please visit : BULGARIAN PLATFORM FOR INTERNATIONAL DEVELOPMENT at http://bpid.eu/. 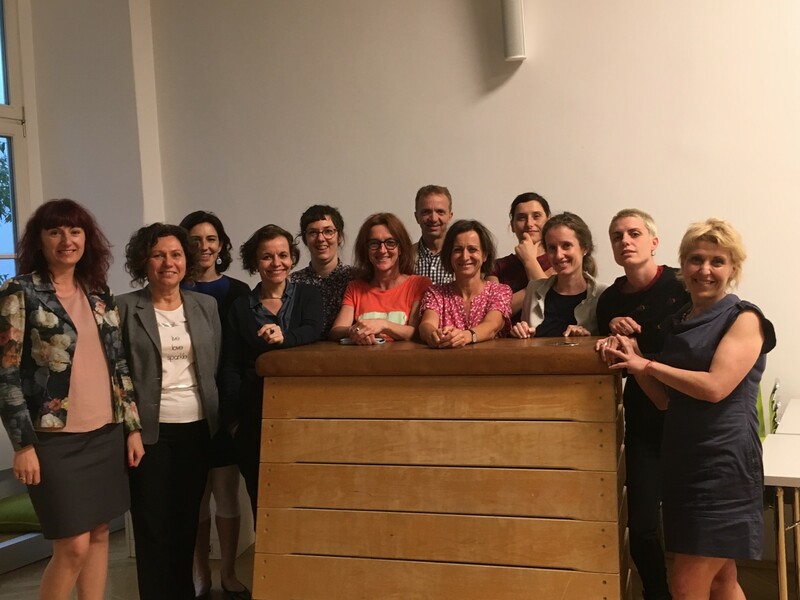 Within the project implementation "DEE – Diversity, Equality and inclusion in pre-primary Education and care: a gender perspective", Funded by: The European Commission under the Erasmus + K2 Strategic Partnerships for School Education, a Transnational project meeting of the group of experts from the participating organizations took place in Graz, Austria on 4 and 5 June 2018, On the meeting the management, monitoring and financial aspects of the project were discussed. Within these two business days, experts from Austria, Bulgaria and Italy worked on the intellectual outputs for the project implementation, namely: -Design of a Handbook and an educational model for training teachers in the pre-school system of education to work with children on the issues of equality and overcoming stereotypes -Design of the teachers training course -communication materials and practices for parents - Recommendations for pedagogical coordinators in the pre-school education system and for decision-makers in local governments responsible for pre-school education issues. 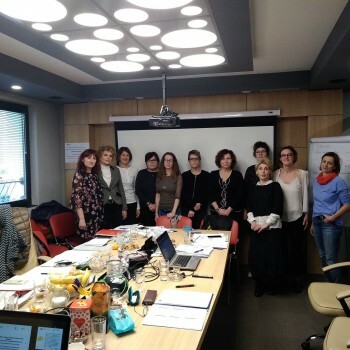 In November 2018, a new Transnational project meeting will be held in Sofia, Bulgaria and will be hosted by ARCI.